War, War never changes. Especially not in the Warhammer 40K universe. Space marines hate aliens. Aliens hate marines. Chaos hate everyone. A lot of people die. Despite a concept that simple the lore surrounding it is incredibly dense and po-faced, spanning nearly 30 years of material. It’s unsurprising then Dawn of War 3 comes across as both of these things in equal measure. 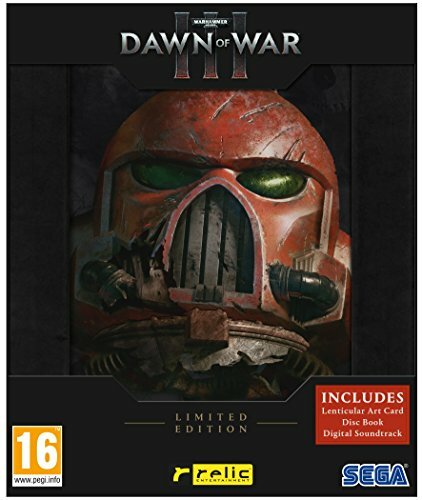 Par for the series, Dawn of War 3 offers a 17 mission long single player mode. Featuring the three races currently available to play (Human, Ork, and Eldar), you’ll flit between the three to stomp bases, hold objectives, and the like. 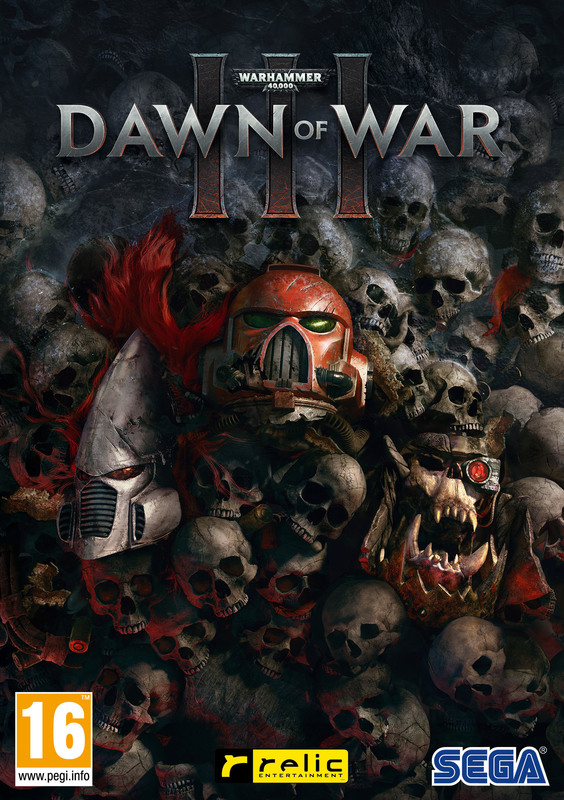 Focusingon the planet Cyprus, Dawn of War 3 hits the usual Warhammer 40K staples. Planet overrun by Orks. Angry Space Marines come to help. Oh no! Something more sinister is afoot! It’s tried and tested plot fodder for the series, offering an excuse for the mass slaughter, and enough explanation for those unfamiliar to the source material. Past that, references to the Spear of Khaine and beyond will leave franchise newbies banging their heads against the impenetrable wall of incomprehensible references. Delivery of the story is incredibly dry. Each race has their own cast of voiced heroes that grunt and boast as you order them about, but lack any wit or personality. Apart from the Orks, the game never strays from absolute seriousness in its concept. Grimdark is Warhammer 40K’s wheelhouse, no doubt. I didn’t expect a Space Marine to hug a fluffy rabbit, but a smirk as they bashed an Orks face would have been enough. Never have giant death robots seemed less fun. Single player does offers a nice challenge however. Compared to Starcraft 2’s walk-in-the-park series of missions, Dawn of War is a swift kick in the trousers. Whilst a glorified tutorial, battleould go pear shaped if I didn’t have my eye on the ball, managing unit abilities and cooldowns. The largest issue with the campaign is the constant flipping between the races. Without any substantial time with the three factions, it’s hard to get a grip with any of them on a deep level. 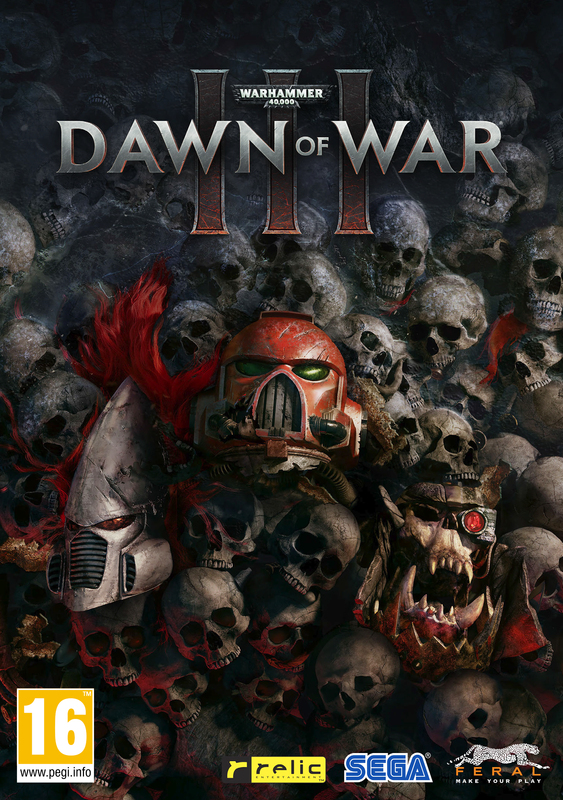 Dawn of War 3 is a dense game of unit strengths, abilities, counters, and damage types. Being slightly slower paced than other RTS games helps, but a thorough knowledge is needed to really get to grips with the systems. Each of the three races handles very differently. Space Marines fit the expensive but sturdy all-rounders. They have variety and health on their side. Orks are cheap and plentiful, looking for metal scraps to upgrade themselves. My favourite though, The Eldar, hit hard and fast, but lack the health to stay in a fight long. Relying on warp gates to get in and out of fights quickly. So far it’s the standards strength vs numbers spectrum. Each races also have a substantial number of Elite units to further augment strategies with. Elite’s cover roles like crowd control, support, and other roles expected in a hero based game. Thankfully, these units are powerful, but not automatically match winning. They can be killed, and the cost and cooldown of getting them back make them worth keeping around. They don’t detract from the core of resource collection and army building, but they do add a welcome new facet to consider. Dawn of War 3 takes a lot of cues from the more popular RTS titles from the last eight years. Namely it’s heavily influenced by Starcraft 2 and hero based strategy games. It rewards favoritism and mastery, with after battle experience and unlocks that can be used to buy new Elites or skins. To say it attempts to be an RTS MOBA wouldn’t be entirely unfair. Multiplayer further pushes the MOBA comparison, with the only available match type being Power Core. This mode focuses on taking out an enemies shield generator, turret, and then the power core. Maps are generally laned, and points are slowly accrued to call in Elite units. Power Core shakes up multiplayer, preventing rush strategies and fitting the slightly slower pace offered by the game. It’s a far cry from the sadly dropped Last Stand mode, but it’s a fun spin on the standard RTS match. Call me a cynic though, but I do expect other match variants will be introduced with future expansions. Dawn of War 3 is possibly the most beautiful presented RTS game I’ve ever played. What it lacks for in the colour palette, it makes up for in fidelity. Units and buildings are full of personality. Ethereal Eldar warp gates pulse with energy, where diesel-punk Ork shacks belch fumes into the landscapes. Maps are full of clutter, usually with some background activity to give the facade of a more active battleground. Performance also isn’t an issue. Even with multiple armies chucking themselves into the fray, the frame rate barely moved from a solid 60 FPS on high settings on my modest set-up. Relic Entertainment being able to deliver a clean presentation and reliable performance is admirable, especially in an age where post-release performance patches are increasingly common. Dawn of War 3 feels like a platform for future content. Nothing at this point feels undercooked, but it certainly feels a little anaemic in the features department. If the past if anything to go by, expect new factions, elites, and multiplayer modes to come soon. For now Dawn of War 3 has enough to sink your teeth into. A taste of things to come. If you can dig the MOBA style elements, there is enough to love to make it worth its boorish tone.